This informational brochure for RITM SCENAR therapy is designed for SCENAR Practitioners to hand out to potential clients or those who are currently undergoing SCENAR Treatments. 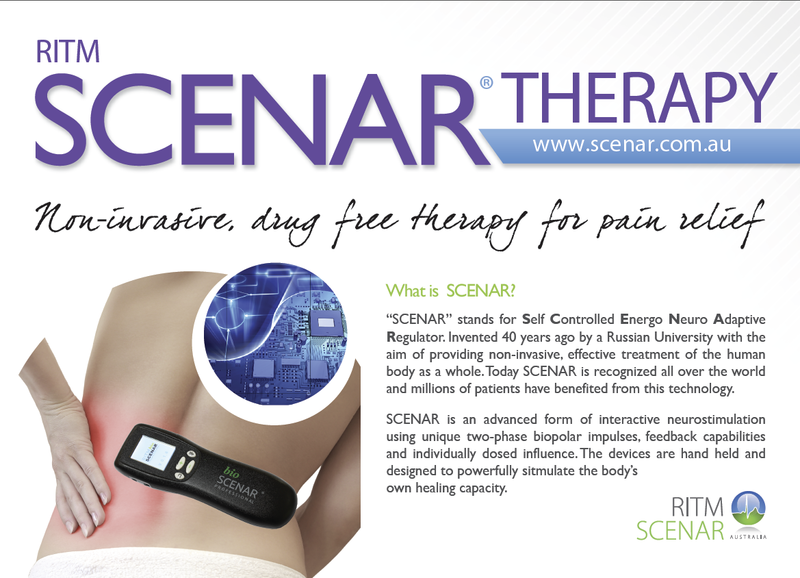 The leaflet explains what is SCENAR, how the treatment session will be performed and other important information for the client. The brochure is available for download or Practitioners can order printed copies.